Find your voice, train your instrument ,develop your art, polish your performance. Discover the strength and power that you never knew you had within you. Whether you are seeking to become a studio artist, gain new perspective as a stage performer, or finally put away the defeatist mentality that kept you from following your passions until now, schedule your first lesson and dare to be amazed with yourself! Lessons conducted in the privacy of your home or in studio downtown Memphis. Offering specialized curriculum instruction and coaching in stage presence, vocal projection and clarity, diction, pitch correction, expression and audition prep for singers and actors. With instructor created curriculum and guided step by step lessons, you will learn innovative techniques to access your instrument's power and move beyond previously held limitations. Accomplished instructor and Founder of FindYourVoice2, Charlee Graham is your dedicated instructor. Click here for Charlee's bio. All lessons are customized based on the unique needs of the individual artist and priced accordingly. Contact us today for a quick and easy cost estimate. Whether pursuing a professional career as a recording artist or stage performer or simply looking to enhance your voice and develop confidence, the training you will receive in the vocal track program is customized to fit your specific needs. From reading rhythms to sight-reading melodies, smoothing "trouble spots" to expanding your range and nailing that target note, the work done in this program will help develop clarity, accuracy, strength, stamina, excellent vocal health, and alignment necessary for quality performance in any vocal style. Vocal Track Program - currently accepting beginning, intermediate, and advanced level artists. This program accommodates weekly sessions for beginning level, and weekly, bi-monthly, or as-needed sessions for intermediate and advanced level artists. Although reading music is definitely a “must” in piano study, there are some short cuts to be enjoyed along the way! The unique piano curriculum created by Charlee Graham for use in her studio affords exactly that - some interesting short cuts that make learning piano fun and fast and makes “playing piano” a much more quickly feasible reality! Piano Track Program - currently accepting beginning and intermediate level artists only. This program accommodates weekly sessions for beginner level and weekly or bi-monthly sessions for intermediate level artists. From the basics of acting for T.V., commercials, film, or stage, to cold reads, character development, and audition prep, work in the acting program track not only builds confidence in your natural abilities, helps develop the ability to “think on your feet,” “be in the moment,” and “become the character,” but is also….. just plain fun! The unique acting track program facilitates self-discovery as an artist and is sure to “up your game” as an actor! Acting Track Program - currently accepting beginning and intermediate level artists only. This program accommodates weekly, bi-weekly, or bi-monthly sessions for beginner and intermediate level artists. Build your confidence, ground yourself, and eliminate that self-sabotaging attack of “fight or flight” that inevitably interferes with your effectiveness as a performer. Tools provided in the stage presence refresher are an integral part of both vocal and acting tracks; however, if you are simply looking to brush up on your stage presence alone, the tools in this focused refresher course will enhance your ability to own the stage and captivate audiences! Stage Presence Refresher - currently accepting all levels for one or more sessions as needed. A one-time consultation includes the Artist Placement Assessment. Each program track accommodates beginner and intermediate levels, and the vocal track is extended to accommodate advanced level artists. The Artist Placement Assessment serves to provide an overview of an artist’s goals and current skill level and to determine appropriate placement in the chosen program track. Initial consultation and placement assessment is offered to new clients at no charge and without obligation (subject to availability). Konstantin Stanislavsky said, "Love art in yourself, not yourself in art." FindYourVoice2 workshops involve intense training exercises aimed at deconstructing the "conventional self" to get to the essence of the performer - the raw instrument. Our goal as artists is to "get out of the way" and allow art to flow through us. In this lives the possibility for true transformation, for both the artist and the audience. 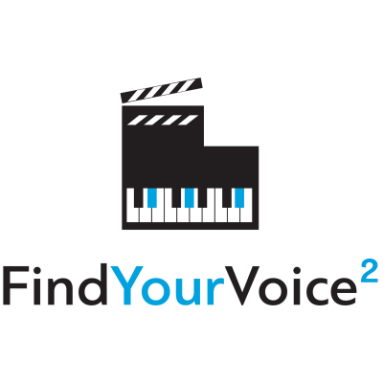 FindYourVoice2 Workshops are open to advanced artists only. Vocal and acting instructors who would like to schedule a workshop presentation for their studio may contact us for availability and details. Charlee has served nonprofit music schools and arts program developers on project-based development of integrated arts curriculum, cross-curricular mapping, and professional evaluation. She has created curriculum for college level course work in private and group vocals, choir, stage presence and performance, sight-reading and class voice, and more. Please contact us to give voice to your arts curriculum!